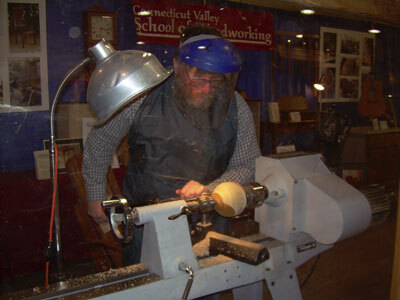 Welcome to the Central Connecticut Woodturners website. 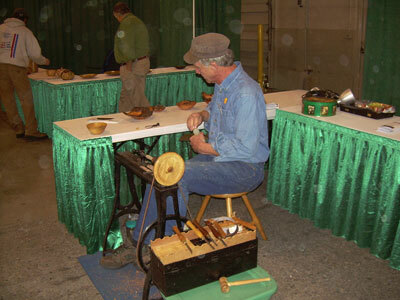 The Central Connecticut Woodturners (CCW) was founded in 1994 to support the needs of wood turners in the central Connecticut area. Its purpose is to promote a higher standard of excellence in woodturning by providing an ever expanding source of information and resources to its members. Please check out our past newsletters and project galleries. For information about joining, contact one of our club officers. Woodturning Demos - Each meeting we have a demonstrator that presents to the club a woodturning technique the club is interested learning about. Demonstrators include members and professionals. Occasionally we also host a professional teacher or turner yielding even richer learning opportunities. 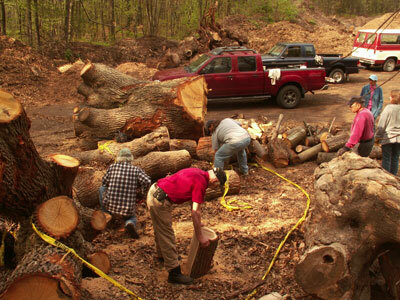 Wood raffles - A lot of wood from local trees is donated to the club by members. Chunks of wood are raffled off for $1 each at our meetings. Show & Yell - See members work and listen to the members explain the complexities in turning their work of art. You also can show off your own work to the club and get valuable feed back and advice. Monthly Newsletter - Gives meeting information, Wood of the Month trivia, and other miscellaneous information. Video/Book Library - Members can rent books or videos. Special Discounts - Receive 10% discounts on hand tools and supplies at retail stores like Woodcraft. 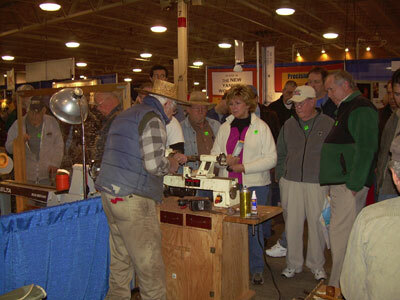 And on line discounts from Klinspor and Hartville Tools when you become a member.